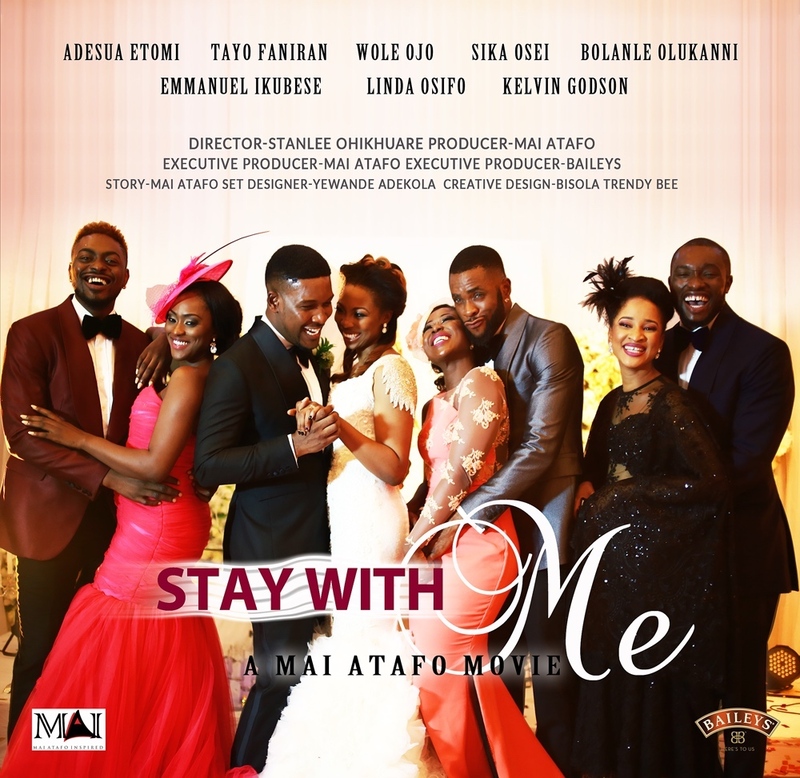 WATCH Mai Atafo’s ‘Stay With Me’ starring Bolanle Olukanni, Wole Ojo, Adesua Etomi & More! It’s finally here guys, the big reveal! It’s a fun story with appearances from stars like AMVCA Best Actor (Female) Adesua Etomi, Sika Osei of 53 Extra, Linda Osifo of Tinsel and Desperate Housewives Africa and a lead role by TV sweetheart Bolanle Olukanni of Moments on EbonyLife TV. It also features celebrated actors Wole Ojo, Emmanuel Ikubese, Tayo Faniran of Big Brother Africa and Nigerian Super Model Kelvin Godson. Talented singers Waje and Praiz also play a key role. Watch the video below.